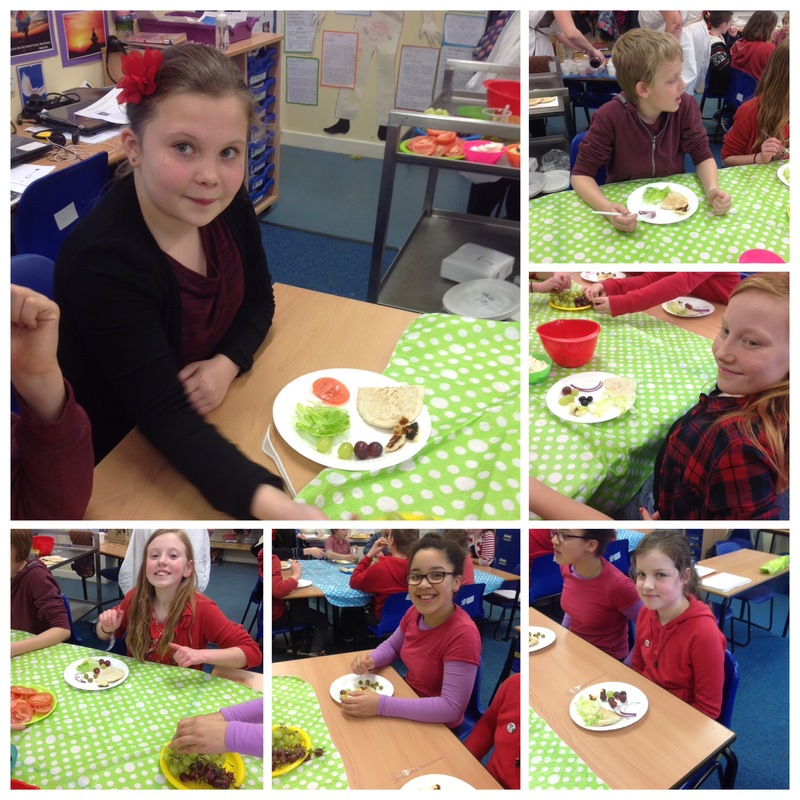 Year 6 have continued their food themed day with sampling types of food the Ancient Greeks would have eaten. 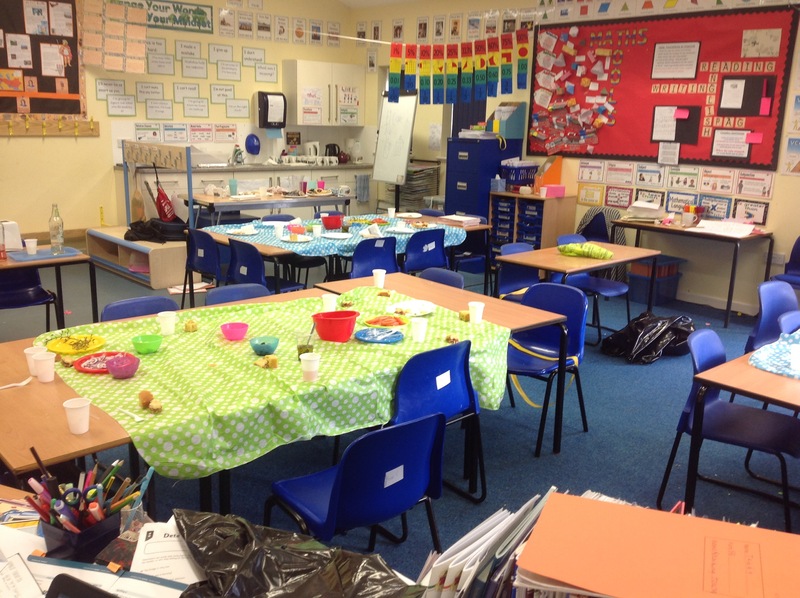 Mrs Carver and Miss Neal prepared a trolley full of lovely food. 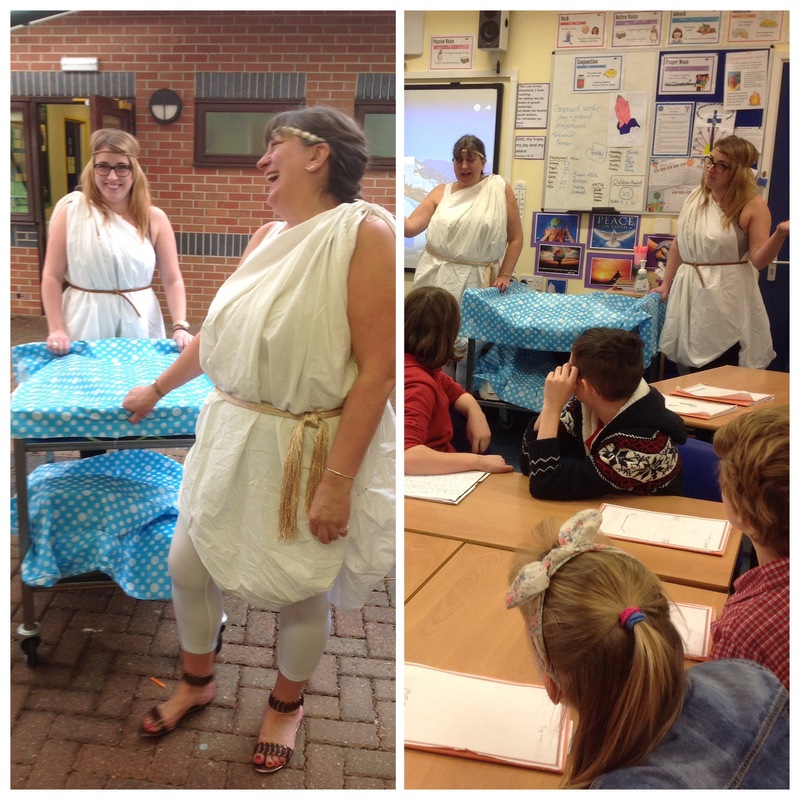 They even dressed up as Greek Goddesses! 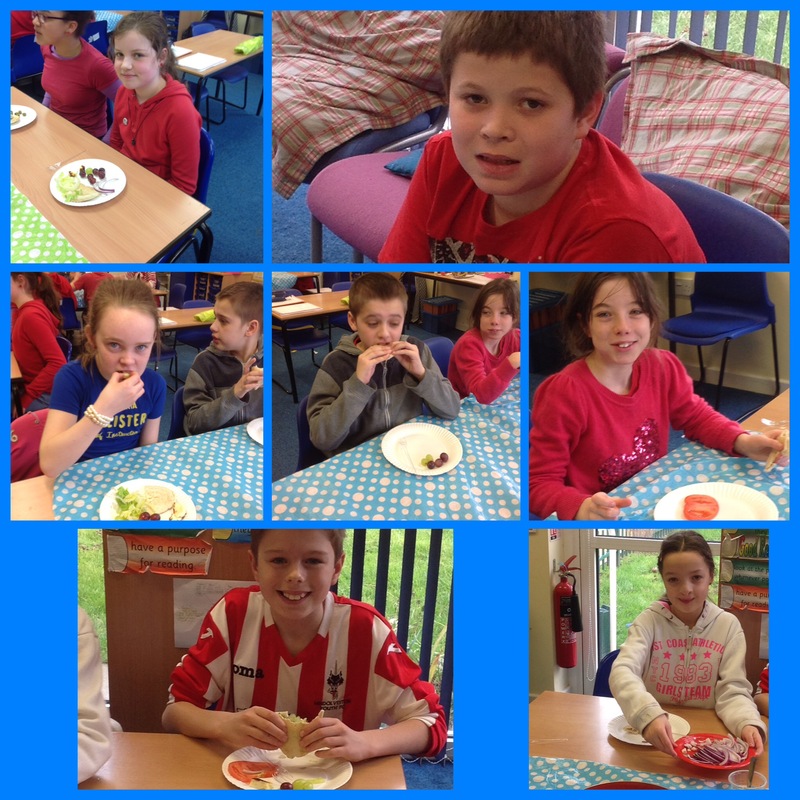 The children have tried feta and halloumi cheese, salad, black and green olives, raw onion as well as Pitta bread and olive oil. 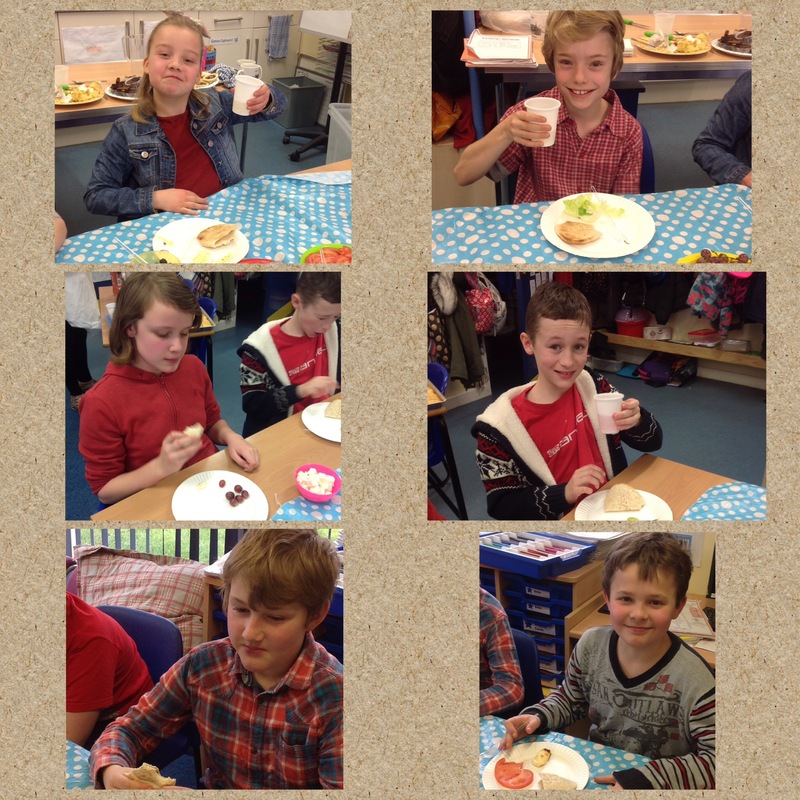 Mrs Carver also made some delious deserts, an orange based sponge and pastry packed full of fruit. To wash it all down the children drank “wine”! After all good parties there is the clearing up………. My helpers seem to have gone home!!! I may be starting half term later than the children! I’m not sure there will be much room for tea tonight, but at least they’ve had a great day. 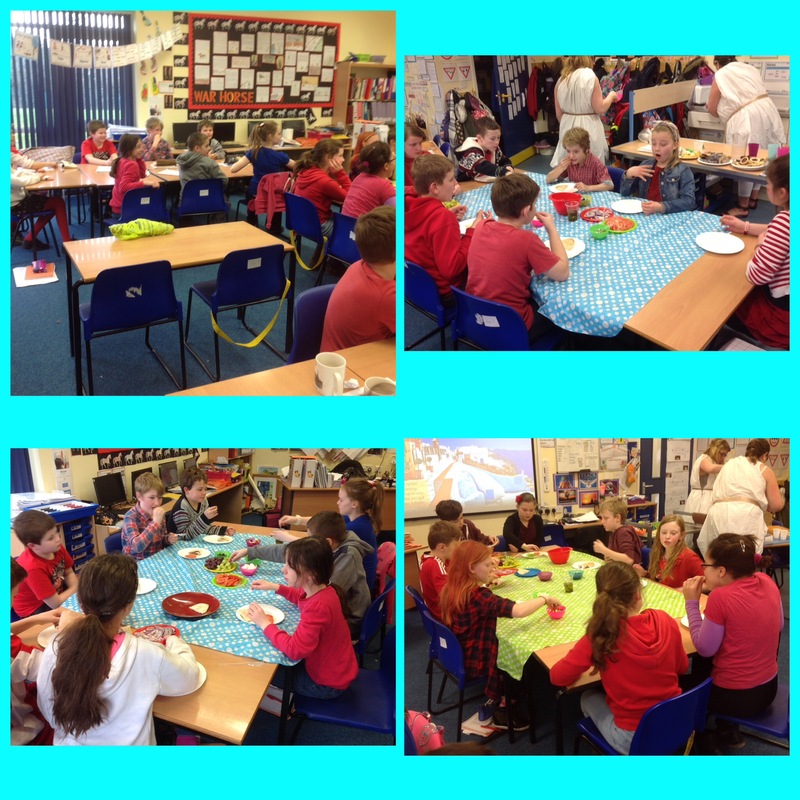 Thank you Mrs Carver and Miss Neal, you have excelled yourselves once again! 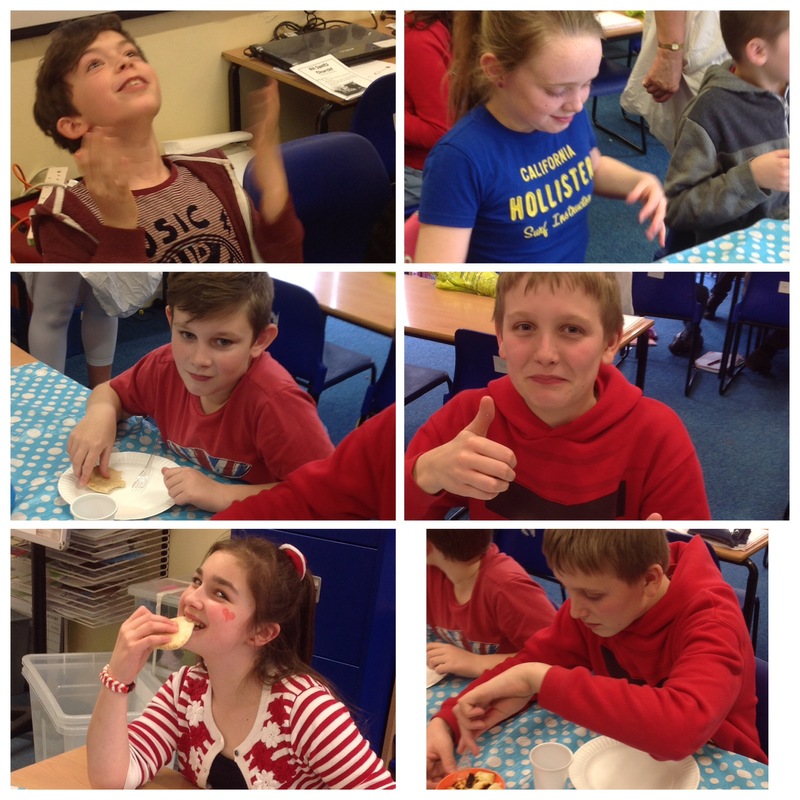 Previous Post Y5 Maths Challengers!